COMBINE pumpkin, cookie butter, cream cheese and ground chipotle pepper in medium bowl until smooth. Serve immediately or refrigerate in tightly covered container for up to 4 days. Makes about 3 1/2 cups. SERVE with apple slices, carrots, graham crackers, vanilla wafers or whole-wheat crackers. 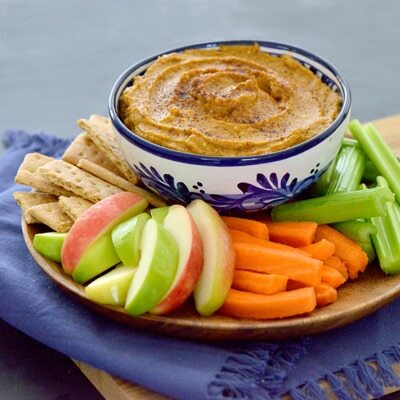 Tip: For a slightly thicker dip, try using 1 cup LIBBY’S® 100% Pure Pumpkin.